One thing is for sure, if you ask developer Chris Lacy for something enough times, he's going to do it. Well, maybe. Case in point, the new version of Action Launcher includes a number of highly requested features. You can grab v3.4 from the Play Store right now to check it out for yourself. Here's the changelog for v3.4. 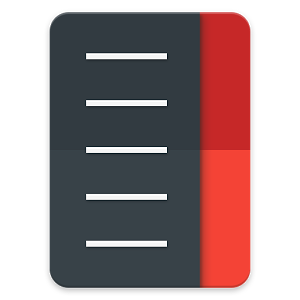 NEW: Option for a vertically scrolling All Apps/widgets list. NEW: Customize All Apps grid size and icon scale. NEW: Edit the icons and labels of apps in the All Apps/Quickdrawer. NEW: Option to configure the font. Pick from 5 Roboto variants. NEW: Edit the labels of Shutters/app shortcuts. NEW: Quickly hide desktop shortcuts from app drawers. NEW: Option to hide the status bar. NEW: Option to specify all new folders be created as Covers. NEW: Option to select All Apps/Quickdrawer sort mode. NEW: Option to disable Quickdrawer letter shortcuts. NEW: Option for All Apps/Quickdrawer/widget picker to always/never load to the previous position. FIX: Home screens use maximum available space in Landscape mode on phones/7" tablets. Also no longer partially draws beneath the dock. The changes around the app drawer and widget list are probably the most important, but it's all optional. If you want things to keep working the same way, no problem. Although, hopefully they'll work a little better with all those fixes and improvements. Action Launcher 3 is free to try with a full version in-app purchase for $4.99.